← Koons Automotive Named Top 20 Auto Groups in U.S.
Shari Keith, General Motors’ District Sales Manager, presents the “Mark of Excellence” Award to Koons Chevrolet General Manager Pat Fogarty and team. 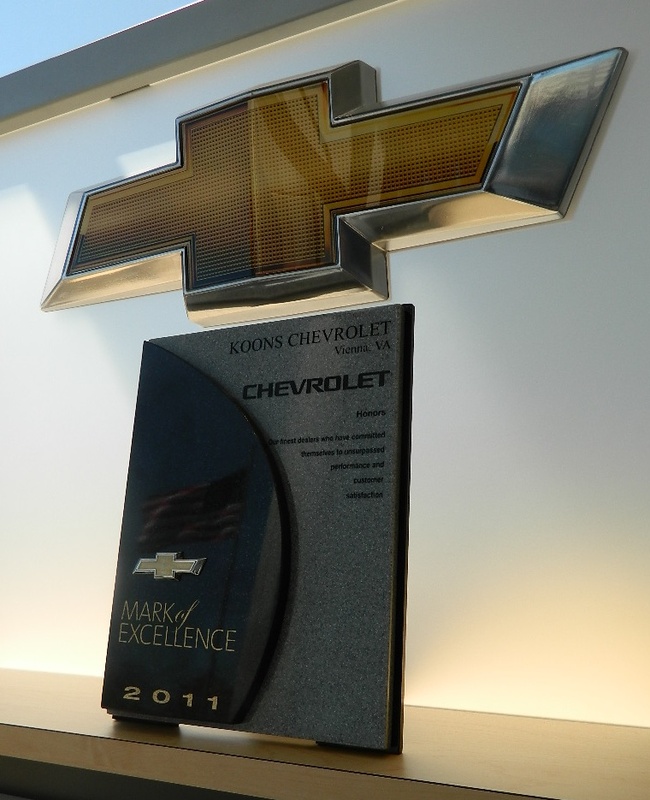 Huge kudos to our Chevrolet-Buick-GMC team at Koons GM Corner for recently being awarded Chevrolet’s prestigious “Mark of Excellence” Award for 2011, which recognizes excellence in sales and customer service. The annual award, which benchmarks dealerships on customer service requirements, sales objectives and facility and training requirements, was bestowed upon only 20% of dealerships in the Northern Virginia area. 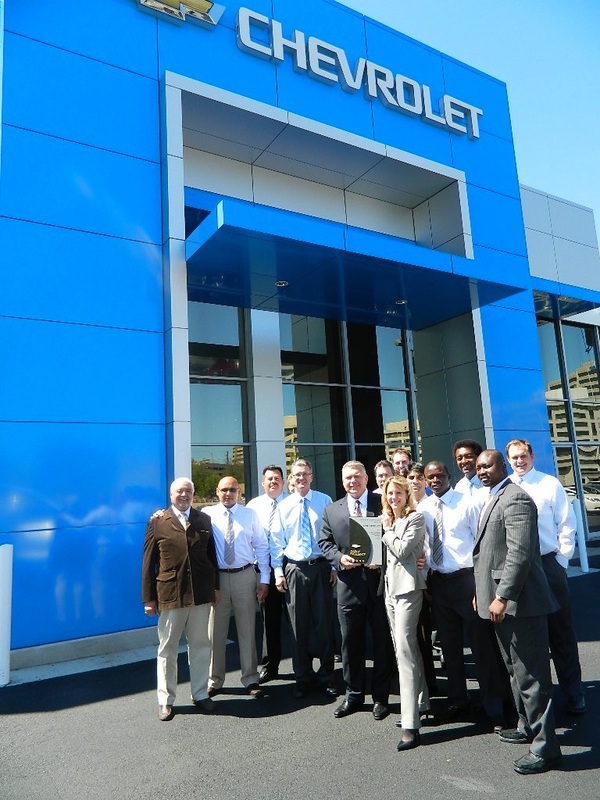 The dealership – one of the region’s largest Chevrolet dealers – recently completed a major renovation in 2011 to its Chevrolet and Buick/GMC showrooms. Be sure to come by and visit our new state-of-the-art dealership in Tysons Corner and be prepared to be “WOW’d” by our amazing staff! We couldn’t have achieved this amazing award without the help of our loyal customers and dedicated staff. Thank you to everyone for a great 2011! Posted on May 3, 2012, in Automotive, Awards, Chevrolet and tagged awards, Buick, Buick Tysons Corner, Chevrolet, Chevrolet Tysons Corner, Chevy, Crystal Koons, Customer Service, GM Corner, GMC Tysons Corner, Koons, Krystal Koons, Mark of Excellence. Bookmark the permalink. Leave a comment.